The competition is heating up at the 2018 NCA North Texas Classic and the talent is through the roof! Amazing teams from all over the Lone Star State have taken the mat, but there is one particular program who has taken over the College Park Center with their amazing fan base and team support. 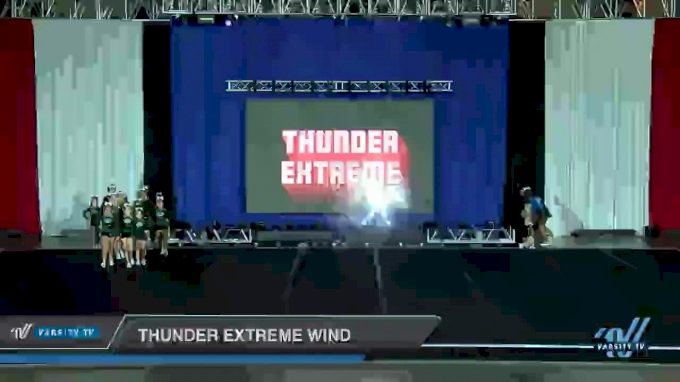 Thunder Extreme from Denton, Texas brought seven teams to the competition, 3 who have already received bids to The Summit 2019! Last season Thunder Extreme had seven teams eligible to compete at The Summit 2018 and all seven received a bid. This is Thunder Extreme's second competition of the season, and you can already expect great things, so be on the lookout for their incredible program. The competition is getting more intense throughout the day so be sure to tune in to Varsity TV for LIVE coverage!